Check your EPFO claim status online with few clicks and details. Online provident fund claim status is a splendid facility to track the position of your pf withdrawal application. No more visiting EPFO offices to know the status of your claim. 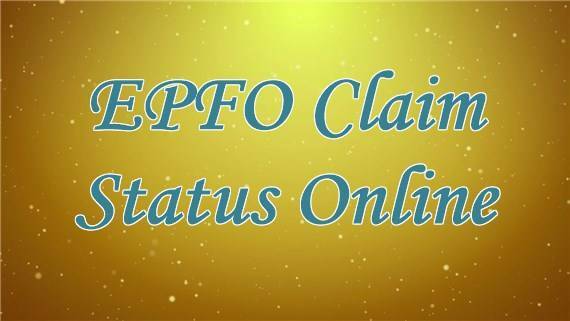 We have shown a complete method to know status of your EPF claim at the official portal of EPFO. With digitalization of all governmental procedures, EPFO is also keeping abreast with the latest technology. It is offering variety of offline and online facilities for employees and employers. The only detail you need to track status is your PF account number. This will help you to know you EPFO claim status submitted to any office across country. Withdrawing Employee Provident Fund was a long and tedious process before. Thanks to major changes in claim process, the process is far simpler than it was earlier. What you can do with EPFO Claim Status Facility? View your EPFO claim status online and avoid hassles of visiting EPFO office. Also check your PF balance. 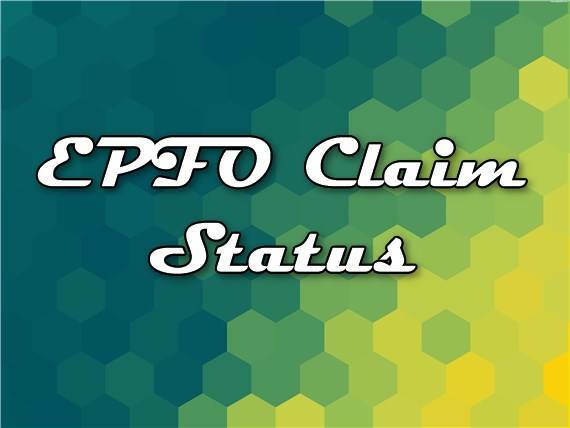 The status of the EPF claim is updated as and when any action is taken at EPFO office. Now you can just go through the simple process of checking the position of your PF claim. If you have confusion or query, you can drop your comments here. How to Check EPFO Claim Status Online? Use the below link to access the official KYCS (Know Your Claim Status) page at EPFO site. You can proceed with the given steps to check your epfo claim status. Click on above link and follow the option of ‘Click Here for Knowing Your Claim Status’ at this page. Select your state and give a click on: ‘Search for Establishment Code’ link shown just below it. If you know the region of your EPFO office, you can select the last option of ‘Establishment Under Office’. Choose the region of your EPFO office from the drop down. The complete list with establishment code will appear on the screen. Establishment code is a numerical part of your 7 digit member Id. It is also further enhanced with 3 characters which is known as extension code. If your EPF account number does not have any extension code (3 digits), just leave the field of extension code blank. Fill up the region code and office code. Enter Establishment code and Establishment code extension in the related fields. Now you will get your EPFO claim status. The screen will show the status messages as applicable to your EPFO claim. If you do not want to check the EFPO claim status online, you can download the form online. Fill up the above details in the form and submit it at the EPF office. You can also get the form at the EPFO office itself. Besides this, EPFO offers various other facilities like EPF balance and UAN status. Employees’ Provident Fund is the prominent investment for salaried individuals. It is maintained and administered by EPFO, India. As per the EPFO rule, any company employing more than 20 people has to deduct EPF from salary of employees earning basic salary less than 6500 per month. We will be bringing more information related to EPFO procedures and regulations. I have been placed as my claim is under process more than one month. My PF number is DL-No 5574/ 214866. UAN number is 100313890619. I have been placed as my claim for widrawl epf balance is under process more than one month. What is the time frame in your office for settlement of the claim….. Claim form 10D,a/c no. Mpbpl00018620000000381.claim pending more than one month objection:_member name differ inF/9. Please do needful. My pf ccount in haryna gurgaav KYSE|| masg.say from 14 march 17 that claim is approved pyment under process n 16march i got im mobile masg. Same n 17 agian at mid night 2:30 am but no payment in bank account…how much more time till i wait for payment? I want customers support because I’m claimed 80% of amount but still I’m not received that amount from last one week…. My name is Kamta Prasad keshri; I received this msg on 23.06.2016;but still not received my Pf. Kindly do the needful form 10 C (with drawal benefit) . Claim Id-MHBAN160500005403 ; Acct.No. MHBAN00461350000242169 approved for payment through cheque payment under process. EPF ne to thaka diya…badkismati hai Jo India me born huva..Indian government ki koi bhi office dekh lo jaha 1 week me bhi agar aap ka kam hora ho..congress ho ya bjp..India me line me hi khada hona padega air ek kam ke liye bar bar Dhaka khana hi padega. My Name is Mukesh,I received this msg on 27/04/16, but still not rcvd my pf.kindly do the needful. form 10C (Withdrawal Benefit) Claim ID:MHBAN160400019104 Acct No MHBAN00482700000013336 approved for payment through Cheque. Payment under process. YDEAR RAKESH I HAVE CHECKED YOUR PF BALANCE IT IS RS 23537 . my name is Balaji PATIL and mobile no is 7387040931.
same for me..did u get any update ? I had applied PF in the month Nov 2015. I have get payment of form 10c in month Dec 2015 but have not getting payment of form 19 still now, so please kindly dispatched my payment. Please kindly sent my payment of form 19. My Name is Neelesh kumar,I received this msg on 18/05/16, but still not rcvd my pf.kindly do the needful. form 31(PF Adv) Claim ID:MRNOI 160500024289 Acct No MRNOI 00174930000001806 approved for payment through Cheque. Payment under process. Just to know when did you received the payment as I am also having the same issue. I have one epf withdrawal form. Iam IFB Employer I whant my pf details my G.NAGENDRA BABU a.c. no: WB/CAL/0055857/000/0000411 please whant my ditails please …. Sir,I have applied for pf transfer but in the pf transfer status it is showing pending approval from previous employer. I have got it submitted through my current employer as i am not in good terms wuth my orevious employer. Kindly guide. I’ve submitted the form31 claim, they sent the rejection note along with Claim id. Again I have re-submitted after correcting last rejected items. When they process second time, will there be any New Claim id ? because in online status says old Claim id and same old reason for rejection, but the date is update date it’s written in the online site. My name Amresh Kumar Maurya submitted My pf withdrawal form on 17th May 2016. My claim id is showing in claim status site ORBBS 160600001823 that above claim is under process last 2nd June 2016. May i know what is the time frame for settlement? Please help me. My epf no is OR 6065/1509 and My mobile number is 9337548617. I have applied for PF withdrawal but my claim is rejected stating rejection letter is under dispatch/ dispatched to address in your claim form. But I have still not received any rejection letter nor been able to get in touch with the PF officials on phone. My PF A/c No. HR/33304/20 head office in gurgaon i have submitted my pf form before 2 month but till date not show so please give the detail of my pf status. My employer(CTS) had submitted my PF closure on 18Apr2016. Still I haven’t received any updates and the site to check the claim status is displaying “no records found”. Please let me know the status of my PF withdrawal claim. My PF A/c No. MH/46163/7637 head office in Mumbai I have submitted my pf form last year Oct’15 but till date not received PF amount. So please give me ubdate the status. My PF A/c No. MH/48037/37486 head office in Mumbai I have submitted my pf form last year Sep’15 but till date not received PF amount. So please give me ubdate the status. hi my name is Sugumar my uan 100448917794 i was claimed two weeks before still iam not received any messages from u. Sir I was submit my PF withdrawal form as 13th of May but still I am not getting any claim status kindly do the needful. I have send my PF withdrawal form since 45days ,but not any information in my knowledge. please as soon as possible my PF withdrawal presses. My PF A/c no#MH/48439/94794 ,MOBILE NO#9849176514. I have applied for PF withdraw two months before. Still I didnt get any response. Please let us know when I will get acknowledgement and money. I have send my PF withdrawal form since 90 days but not any information in my knowledge. please as soon as possible my PF withdrawal presses. My PF A/c no MH/BAN/48417/19140, MOBILE NO. 9950601777 & 9461151677. Claim Form 13 for Transfer for Member Acct DLCPM002084600E0020897 received on 23.06.2016 and Claim ID DLCPM160650002036 is under process. Pls let me know claim status it’s been 1.5 years that I have applied for PF transfer. Sir my claim UAN No 100418568927.this claim applied from 1month but not recieved any massage and not any credit in my bank account sir what problem in this claim please. My PF No. : MH/BAN/47007/13846 and UAN : 100127390199. Claimed PF on 17.05.2016. Please update on claim status ASAP. Nothing is showing online. My name is Mandeep Singh, I posted (through Speed post) my claim form through “UAN – Based form 10C and 19” to your EPFO office “EPFO Complex, Plot No. 23, Sector-23, Dwarka, New Delhi, DELHI” dated on 21/06/2016 from my side. but still I have not received my PF Amount and no any messages from your side. Kindly do the needful as possible. Sir, my pd no HR/FBD/0007844/000/0001644. Name Manoj pradhan UAN No-100222094247 (Agni industrial Fire Service Faridabad,HARYANA )not getting my payment of form no19 still now, but already paid of form no10c last dec 2015,so plz kindly dispatched my payment as soon as possible. which is out standing. I have applied my pf last 4months. But not yet get any information. Please grant me as soon as possible. I have applied on 12th March 2016. But not yet get. How many days it will take for pf settlement. I am Rajnish Pradhan and my Pf account number is MP/JBP/0016570/000/0000382. Dear sir I am sunil Patel my pf a/c no. TN/MAS/00514450000034529. I AM ALSO APPLIED WITHDRAWAL PROSSES BUT NO COFARMASTION ANY STATUSE PLZ HELP ME. I have opted for withdrawal of PF but I have recd massage from EPFOHO as ” Form 13 (Transfer) Claim ID : MHBAN160750003085 approved for payment through cheque. Pmt under process” on 26th July 2016 .
please confirm when I will get PF amount in my bank account? I am sheesham and my Pf num DSNHP-0937264-6093 and uan num 100694436447. I request you to check the process and get deposited my balance amount in my given bank Account. Acknowledgement should be sent by PF office once the form is submitted/ received at their end or details should reflect on their website. One can get only a no status on the website whenever try. My PF no. is DL/25803/28784, please confirm the PF withdrawal status ASAP or share the details on the website/ contact no. to confirm. Comments ka box bana to diya, who will entertain these comnts? Same problem is here, i submitted my form by 31st may 16…still not getting any of amount. HR se pucha to vo behn ka _ _ _ _ bola mene abi submit hi ni karaya. gaaliya to itni di saale ko k aaj k baad kisi ka form ni lega. After submitting pf withdrawal form how long days later payment confirmation?? My employer has deposited my pf withdrawal form with all required documents on 16th August 2016, How much time it will take to transfer in my account. My Name is KRISHNA RAO CH, I received this msg on 11/07/16, but still not revieved my pf. kindly do the needful. Status : Claim Form 19 for PF Settlement AGAINST Member Account No (GRVSP00306000000000053) has been approved. Payment is under process. Status : Claim Form 10C for Withdrawal Benefit AGAINST Member Account No (GRVSP00306000000000053) has been approved. Payment is under process. Sir i submitted epf claim my member id.APHYD00429750000005066 Sir my UAN No. 100418568927. Sir this no.epf claim status please sir i subimitted this claim form but not a reply any massage not a claimed amount Sir this regarding reply please. Sir, My EPF withdrawal form rejected due to the reason : CERTIFICATE A/B/C/D/E/F not enclosed and SS not tally. I could not find any certificate ABCDEF for withdrawal in my case. What is SS not tally, I cant understand the meaning of SS. Please help. My claim ID is DLCPM160700026194 DATED 20.07.2016. Sir I was submit my PF withdrawal form as 2nd june of May but still I am not getting any claim status kindly do the needful. my pf Account no. Tn/54237/920. Form 13 (Transfer) Claim ID: APHYD160750003165 approved for payment through Cheque. Pmt under process. Sir,I have applied for pf transfer but in the pf transfer status it is showing approval from previous employer. I have got it submitted through my current employer as i am not in good terms wuth my orevious employer. Kindly guide. chintal patel pf no gj 17832/87 my pf withdrawal but the year 2012-13 contribution in not mention in pf office but year 2012-13 is already online crn challan in approve to bank how can possible to not so in your seystem. Status : Claim Form 10C for Withdrawal Benefit AGAINST Member Account No (TNMAS00313090000214467) has been rejected. Rejection letter is under dispatch/ dispatched to address in your claim. Status : Claim Form 19 for PF Settlement AGAINST Member Account No (TNMAS00313090000214467) has been rejected. Rejection letter is under dispatch/ dispatched to address in your claim form. Checked the status in the online and rejection letter was not yet send through my address. Sir I have submit my PF withdrawal form as 8th Aug but still in claim status its showing no records found my pf Account no .MH/BAN/0047450/000/0001572.kindly do the needful. My PF account number is THTHA00433550000010988 and I have changed 2 companies in last 1 year. Suddenly, I have got a message saying Claim Form 13 transfer is in process: On checking on the site with my EPF no, the following status was displayed where new account number is not displayed. Need your help in knowing to which account is getting transferred to. Please revert back. Status : Claim Form 13 for Transfer to New Account Number: AGAINST Old Member Account No (THTHA00433550000010988) has been approved. Payment is under process. Have sent courier via vichare but let us know what is process after submitted form. How can i check the status for epf and which link. where we can showing the status. Dear sir I have submitted my pf. Withdrawal form but not know of my withdrawal status my pf a/c. No. GJ /RAJ/0041472 /000 /0024705. Hello sir. I received a message stating approved for payment through cheque. Got this message close to 10 days ago. Still not received my PF. Please let me know the status when i will be getting sir. Thanks. Link that you have mentioned, ‘Click Here for Knowing Your Claim Status’ is not working. Is there any other way to check the status? My self SAURABH CHOPRA. My Epf no:- DL/CPM/44444/ /952. Sir please I want know my epf claim status.I have been applied before one month ago. Can you help me. My email od is [email protected] and mobile number is 8527253280.
i applied for pf claim on 14th of this month. My pf office is at vashi thane district – Maharashtra. Was told that the transfer will take place in 7 working days. Friends I have applied for EPF settlement in Ranchi EPF office, more than 4 months I keep noticing the same status “… approved. Payment is under process.” Now they have closed the claim status link, so as to no one can see EPF claim status. They are irresponsible and playing with our hard earned money. I have written my complaint on Hon’ble Labour Minister and Hon’ble Prime Minister’s facebook wall as well, but no response. There seem to be some issue on the official website. Dear sir my company is from mumbai and I worked in Delhi zonal office but my pf office is mumbai Bandra. i resigned in may 16. Pf form submitted in delhi in first week of august. Same is submitted on 20th august in bandra office by my mumbai head office. But till I have not received my pf. Status- no record found. Sir please let me know my pf claim status. My UAN no is 100407251417. I am Jyoti Mehrotra my PF No. is DL/935212/20 and UAN No is 100179146194 I have fill claim form for construction purpose on 21 September, 2016 . Please send methe status to my email id [email protected] or my mobile no 9899146110. Please find the details of and Send me the status to my email or mobile number. This is my pf status result. What next step my pf amount settled. My employer(IBM INDIA) had submitted my PF closure on 17-Aug-16 . My name is Bindu B. I want to know the details of my pf account.My PF account No is DL/CPM/18066/5252. Status : CLAIM FORM 10C FOR WITHDRAWAL BENEFIT/SCHEME CERTIFICATE FOR MEMBER ACCOUNT NO DSNHP09375890000013398 HAS BEEN RECEIVED ON 13.10.2016 IS UNDER PROCESS. sir-my pf a/c no- is-hp/5196/02, i have claim my pf amt for withdrwal on-4/10/16 , but no message received to me now yet , soPlease let me know the status of my PF withdrawal claim. Status : Claim Form 19 for PF Settlement AGAINST Member Account No (GRGNT00337740000001182) has been approved. Payment is under process. Status : Claim Form 10C for Withdrawal Benefit AGAINST Member Account No (GRGNT00337740000001182) has been rejected. Rejection letter is under dispatch/ dispatched to address in your claim. Status : CLAIM FORM 10C FOR WITHDRAWAL BENEFIT/SCHEME CERTIFICATE FOR MEMBER ACCOUNT NO GRGNT00337740000001182 HAS BEEN RECEIVED ON 26.09.2016 IS UNDER PROCESS. Mera nam sachin kisanrao satpute hai. I HAD DEPOSIT MY CLAIM FORM ON 28.10.2016. MY PF NO IS 42745/724, ALMOST ONE MONTH GONE THERE WILL BE NO RESULT SHOWN WEHEN I CHECK MY CLAIM STATUS IN EPFO CLAIM STSTUS PORTAL.THIS AMOUNT IS VERY URGENT TO ME. Company serviced by Muthoot fin corp ltd,so please up date the my claim status,thanks. It says no records found. WHat does it mean. That whether my form is rejected and I need to fill it again. or what. First time I was claim PF at Park Street Regional Office on July 2016 but the claim was rejected cause of Father Name differs. Then I was claim my PF Second time at same Office on 25.10.2016, but today is 22.11.2016 till now I get no Message. I did Phone several times on this no 033 22801244 but no reply once time. Please let me know my pf status. I have recieved a message from epfo amritsar in march 2016 that transfer claim no ldasr160350000009 is approoved for payment but till date no payment is made . Kindly do the needful. So kindly request to u that u clear my pf amount or status. I have applied to withdraw my pf amount on 10 oct 2016,but in satus it is showing that no matches found,i dont know what kind of service they are providing. So i kindly request to u that u clear my amount or give any status. I have applied to withdraw my pf amount on 29 AUGUST -2016 , but in satus it is showing that no record found,i dont know what kind of service they are providing. So i kindly request to u that u clear my amount or give any status. My PF A/c No PY/BOM/34914/14987 head office in karnataka. I have submitted my pf form oct26 but till date not received any status. and my mob no 9005092107. Dear sir ,let me know about my pf claim status .My form was rejected due to mismatch of name in the cheque provided .Later on it was rectified and same was resubmitted in the office at bandra on 13th december. pf ac no ;MH|/ BAN/ 252090000033 . Pls let me know my pf status. plz let me know how to calculate eps amount will withdraw after 7 yrs service. My PF withdrawal application has been rejected stating the below comments, please let me know the next course of action for me. Status : Claim Form 10C for Withdrawal Benefit AGAINST Member Account No (TNMAS00847940000000190) has been rejected. Rejection letter is under dispatch/ dispatched to address in your claim. Status : Claim Form 19 for PF Settlement AGAINST Member Account No (TNMAS00847940000000190) has been rejected. Rejection letter is under dispatch/ dispatched to address in your claim form. I have applied to withdraw my pf amount on 20 April -2017 , but in satus it is showing that no record found,i dont know what kind of service they are providing. So i kindly request to u that u clear my amount or give any status. My EPF NO: KDMAL00444810000015274 and UAN No( 100209457580) My name is M.Nageshwar can I know the claim status. when I check EPF website it is showing ” No Records Found” and I want to know the EPF processing time for claim the EPF amount. Its hide man for govt working procedure. 21 april from submited via company xxxxx to pf office. & upadated received 1st May. Omg 1st govt employes are in leave how they are recived??? & its still under process. I had joined Kanchi Kamkoti hospital in 1991 and resigned in 2000. I want to know my pf status whether i have applied for my claim or not. My pf number is TN/17700/265. Likewise I rejoined the same institutuion in 2002 and resigned in 2005. My pf number is TN/17700/1059. Now I would like to know the present scenario about my pf. Can u help me. I have applied for PF withdraw 8month before.Still I didn’t get any response. My PF number MH/42726/14850 please let us know when I will get acknowledgement and money. have applied to withdraw my pf amount on 24 April -2017 , but in satus it is showing that no record found,i dont know what kind of service they are providing. So i kindly request to u that u clear my amount or give any status. I Want To Check My EPH Balance. I Want To Check My EPF Balance. Dear Sir my pf no DL / 17492 /10885 i submitted my pf withdrwal forms to co but till date no response from co…and kindly confirm the status and ammount. hello.. I have transferred my EPF balance from previous employer member id to present employer member id, and i have done all KYC process i.e. AADHAR, PAN , Bank A/c linking. now I want to withdraw my PF balance by online. But whenever I going for online claim it’s showing ” Multiple member-id’s found linked to your UAN. Kindly transfer all to current member-id before proceeding. ” this Messege . what to do now. pls guide me. I FILED ONLINE PF WITHDRAWAL FROM PF. I RECD THE 19C RS.21029/-THAT IS OKAY AND SETTLED. BUT FORM NO.10 C, I RECD RS.2379/- INSTEAD OF RS. 10494/- ( LESS RS.8115/- TRANSFERRED BY PF OFFICE, DWARKA, SECTOR 23, NEW DELHI-110077). I PERSONALLY VISITED DWARKA ON 25-04-2018 ABOUT LESS AMOUNT RECD AND DELIVERED THE LETTER VIDE STAMPED ON IT. AND ALREADY INFORMED ABOUT LESS RECD AMOUNT AGAINST FORM NO.10C. My pf has not come yet and my account is not mine She has gone wrong and is showing a set of status claims.